Ian '8Pack' Parry, professional overclocker extraordinaire and long-time affiliate of British enthusiast PC hardware retailer Overclockers UK, is no stranger to hardware created with his unique creative stamp. 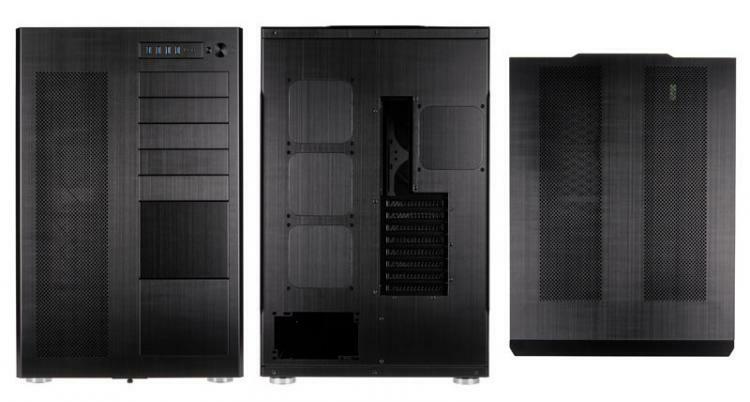 Now he has teamed up with enclosure experts Lian Li to design a limited edition all-aluminium PC case that maximises hardware support and water-cooling potential, the PC-D888WX. 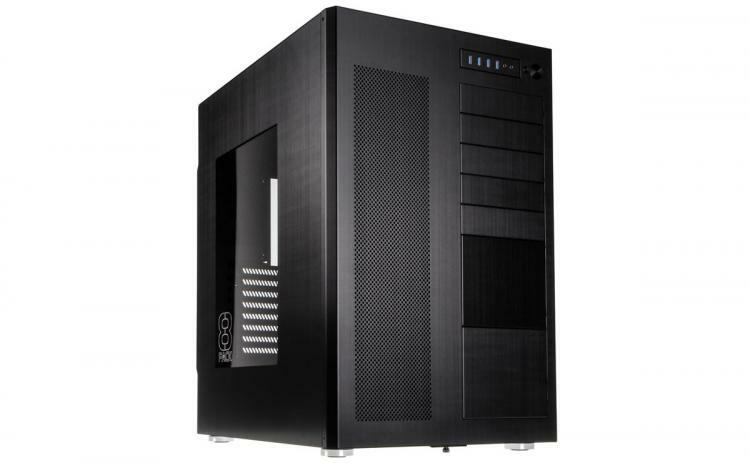 In form the Lian Li PC-D888WX is a double-chamber cube chassis broadly based on the older PC-D666WRX, providing ample room for both critical system hardware and comprehensive water cooling support. In all, the internal configuration includes six separate radiator mounting options across both chambers, of which four are 360mm positions (rear, bottom and two in the roof), one 240mm, and one full-size 480mm (in the front). Each of these positions support push/pull fan configurations, and two integrated water pump mounting positions offer an additional level of layout flexibility. Naturally, given that this case supports such extensive cooling options, support for high-end hardware is exceptional. Your most attractive hardware - i.e. the motherboard and expansion cards - are housed in the left-hand chamber whilst PSU and storage will sit in the obscured right-hand section. 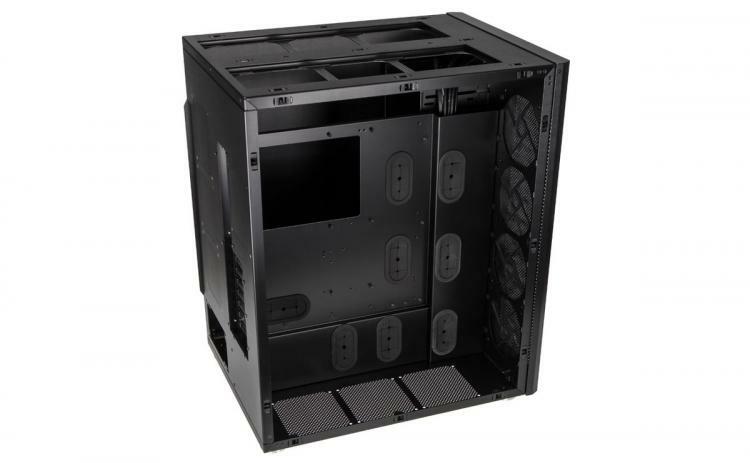 The chassis can accommodate EATX motherboards (those typically requires for quad-SLI configurations), VGA cards up to 420m long, ATX PSUs also up to 420mm in length, and 165mm-tall CPU coolers (if, for some crazy reason, you're using an air cooler). Copious amounts of storage, in the form of six 3.5" HDDs and 2.5" SSDs, can also be the order of the day with the PC-D888WX. What good is a case that caters to your every need though, if you can't show off the hardware inside? Thankfully the PC-D888WX includes a crystal-clear sidepanel (with discrete 8Pack etched logo) on the left, whilst other areas are shielded from view with beautifully-finished black anodised brushed aluminium. Each of the sidepanels, as well as the front fascia, can be popped off in order to facilitate easy access and installation when necessary. OverclockersUK have such confidence in the design of the PC-D888WX that it's used for their ultra-premium Supernova systems, all part of the '8Pack' system range. 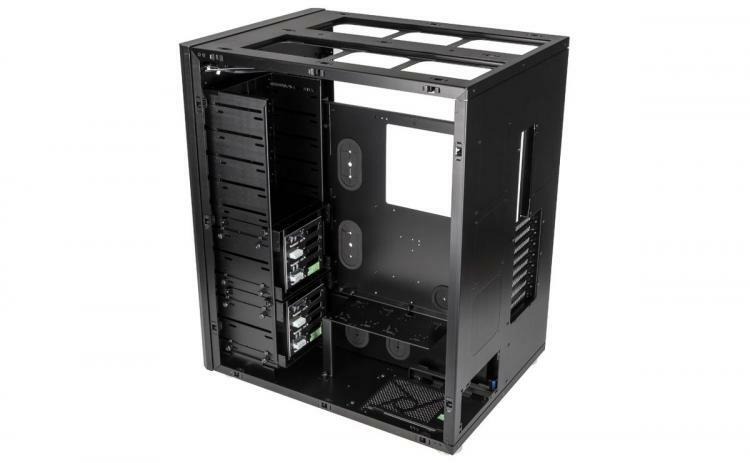 Naturally this is a huge chassis intended for high-end systems, and the £499.99 price point reflects that. For your money you're treated to an aluminium case constructed with Lian Li's commitment to quality, stamped with 8Pack's seal of approval, that will meet your needs for years to come. The Lian Li PC-D888WX 8Pack Edition is available exclusively from OverclockersUK, priced at an MSRP of £499.99.